Foot neuralgia, or pain and loss of sensation in the feet, is extremely dangerous for people with diabetes. 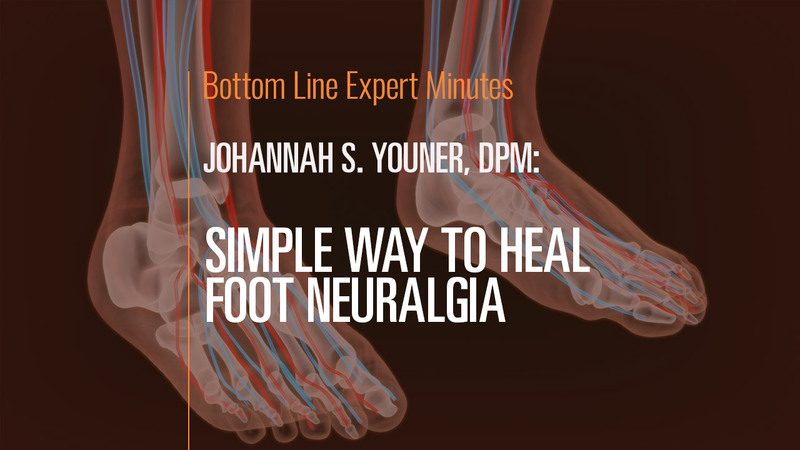 In this video, Dr. Johanna Youner, board-certified podiatric surgeon and a Fellow of the American College of Foot and Ankle Surgeons, explains that foot neuralgia occurs when diabetes damages the nerves. The nutrient known as methylfolate, which consists of B vitamins, can help the nerves regrow when taken over an extended period. It also can reduce the pain and numbness from neuralgia and is safe to take. Dr. Youner specifically recommends Metanx for foot neuralgia but urges people with neuralgia to consult their doctors to see if this treatment is right for them.